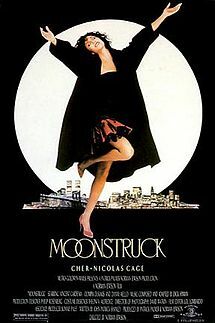 Moonstruck – Did You See That One? Loretta (Cher) isn’t lucky when it comes to love. Seven years after her husband died, his best friend Johnny (Aiello) has proposed. She accepts, only to find herself smitten by Johnny’s younger brother, Ronny (Cage). Now she’s stuck in the middle of an awkward situation as she tries to decide who the right man is. Norman Jewison (In the Heat of the Night) directed this romantic comedy that was written by John Patrick Shanley (Doubt). For Jewison, it would mean an Oscar nomination for Best Director. Shanley earned his first and only Oscar win (so far) for Best Original Screenplay. The film was also nominated for Best Picture. Cher (Mermaids), Nicolas Cage (It Could Happen to You), Olympia Dukakis (Away from Her), and Danny Aiello (Do the Right Thing) lead the cast. This is a whimsical story that has a unique charm from the very beginning. The themes of love, fate, and luck all come together in a way that feels almost playfully cynical. Underneath this tone of cynicism comes a yearning from the characters for something special. This adds the magic to the story that makes it entertaining and charming. The dialogue brings this small group of Italian-Americans to life with a unique culture. This includes some really fun banter that seems to come from every angle. Thankfully, the film doesn’t come off like an ethnic comedy. (This isn’t My Big Fat Greek Wedding) The writing does show the age of the movie at times, but it’s nothing that ruins the story. The end result is a movie that holds up pretty well, with a fun and heartwarming story. It’s also nice to see a romantic comedy that barely follows the formula expected from 80s rom-coms. The acting in this movie features some great performances from a number of talented actors. 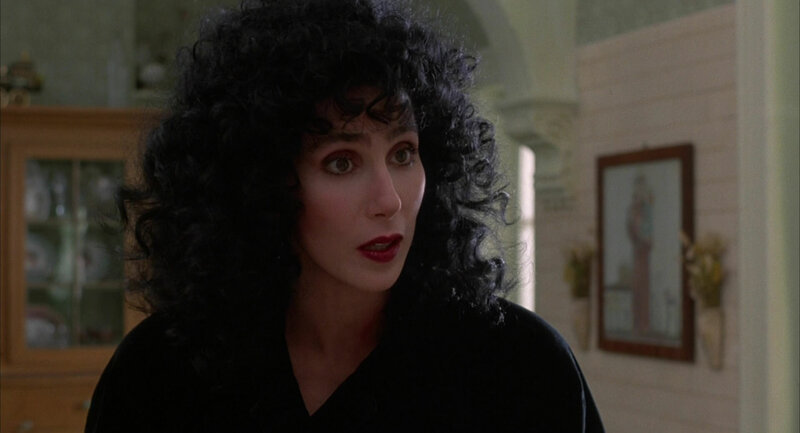 Cher leads the way with a performance that serves as the catalyst for everything happening in the film. She’s emotional, funny, and has good chemistry with the rest of the cast. This role easily could’ve been over-acted, but she reined it in and won an Oscar for Best Actress. 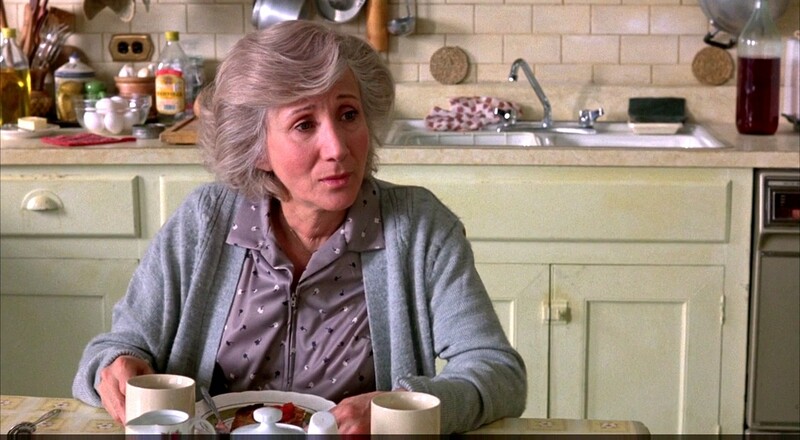 Co-star Olympia Dukakis took home some hardware of her own, winning for Best Supporting Actress. Her performance is fun and strangely complicated, just like the story. 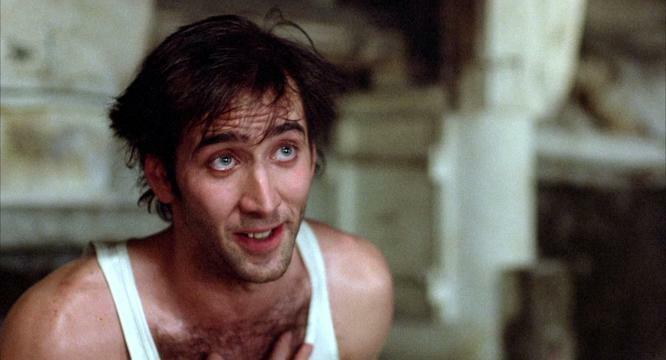 Nicolas Cage also does a good job in this one. He had to bring a very unique character to life, and he does it nicely. The unique complications of his character’s life are all portrayed just as they needed to be. (Despite a good performance, he’ll likely be remembered more for Raising Arizona than this film when it comes to his work in 1987.) 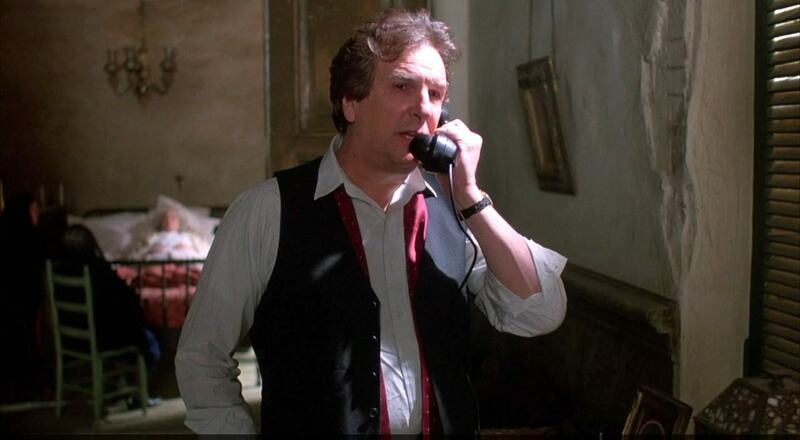 Danny Aiello also does a good job as the confused and well-intentioned Johnny. Overall, the cast does a good job bringing this unique story to life. The rest of the work done to make this movie is all good. The small segment of the world that these characters live in feels believable and charming. Fans of the stars should definitely check this one out. I would also recommend this one to fans of romantic comedies or 80s films. I give this one 3.5 out of 5 stars. Pingback: National Treasure: The Book of Secrets | Did You See That One?